If you want to get away from Iowa city for a minute Des Moines can offer you a change in scenery. During the month of October there are a few events worth breaking out of your shell to come and have a peck at. 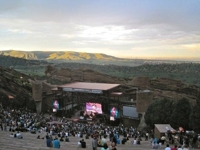 Colorado musicians Big Gigantic and Pretty Lights will be gracing the capital city with their musical talents. If you don't roll on shabbos and are looking for a place to break your Yom Kippur fast Des Moines will be hosting the World Food Fest for the entire holy weekend. Having indulged last year I can tell you this is Des Moines' premiere tasting event. It offers a unique variety of food, beer, and entertainment from around the world that is sure to get your taste buds jumping. Also Canadian Tv stars the Trailor Park Boys (check them out on Netflix) will be making a stop in Des Moines on their “Drunk, High and Unemployed Tour,”. If your looking for something a little less aggressive every Saturday Court Ave. summons thousands of patrons to its downtown farmers market. Here's a list of events worth making the drive into the city for.